At Adams Air, we know Houston's climate and how it expects peak performance from our air conditioning equipment year in and year out and with over 30 years experience in providing indoor comfort solutions to the Houston and surrounding areas, our specialized family of technicians understand the importance of a properly designed comfort system, especially in Houston. Our client-focused approach to AC installation and AC replacement takes every factor of your home or business into consideration and focuses the design process around your comfort, your heat load, and your budget, resulting in an HVAC system we're confident every Houstonian would be proud. To see some of our awesome HVAC installation projects check out the "Some of our awesome projects" tab at the top of this page. 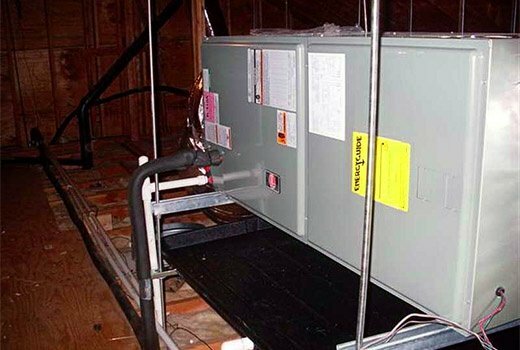 Why choose Adams Air for AC System Design and Installation? Our indoor comfort systems are designed around our clients needs and optimized for Houston's hot and humid outdoor environment and when you partner with the Adams Air team we put your needs and comfort first in every phase of every project. Other than your comfort, we know saving you money is important too and that's why we proudly design and install all makes, models, and brands of air conditioning equipment - We don't commit to installing any single brand or style because we know every client's needs are different, every home and office is different, every budget is different, and so every solution is different. There's no 'one size fits all' solution when it comes to AC installation in Houston but our seasoned family of HVAC technicians can help guide you through every aspect to consider when picking out a new air conditioner and our client-focused philosophy and family-operated pricing is something we're confident you'll be happy with - We are Houston's Premier AC Installation and AC Replacement company by delivering the outstanding results and unmatched prices no other Houston HVAC contractor can provide. 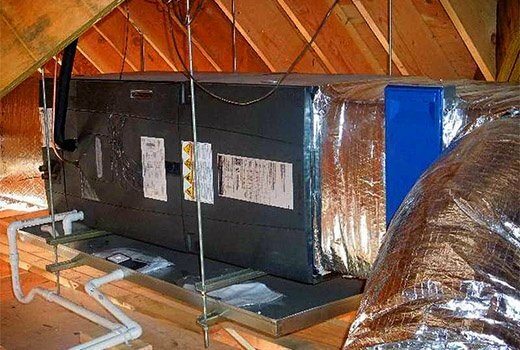 Prioritizing Proper Houston HVAC Design and Installation. Proper AC operation all begins with proper design and installation practices. At Adams Air, our designs and installations utilize the guide-lines and techniques outlined by the ACCA and ASHRAE that take every factor of your heat signature into consideration to create the perfect heat removal solution: From the size of your home and the number of residents, to how many windows your home has and which cardinal direction it faces and more - every heat load affecting your home is calculated in to our designs in order to produce the perfect indoor comfort solution that's going to operate effectively, function efficiently, and stand up to Houston's hot and humid climate for many years to come. Some of our awesome residential AC projects. Our HVAC system design and installation procedures utilize only the latest techniques described by the ACCA and ASHRAE in order to deliver the best indoor comfort experience you can get in Houston and ensures your air conditioning system is operating at its optimal factory designed performance and efficiency levels while delivering 100% of it's heating and cooling capabilities to your home or business. 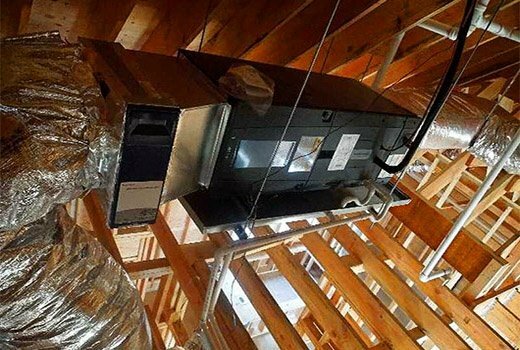 Adams Air prioritizes proper HVAC system design and HVAC installation because we know equipment that isn't installed correctly only leads to ineffective operation, costly repairs and never quite stands up to Houston's tough climate. Turn to the Houston Air Conditioning Installation Experts. 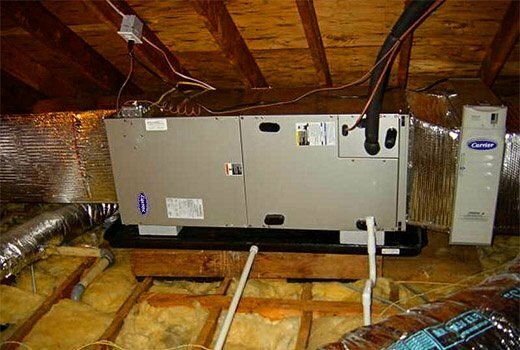 Do you have an HVAC installation or replacement project in or around the Houston area? From condensers and evaporators, to complete HVAC system replacements and ductwork, Adams Air representatives are available 7 days a week to answer any of your air conditioning installation and air conditioning replacement questions. We offer competitive rates for any of your residential and commercial HVAC equipment replacement and installation projects and work to exceed your comfort expectations during every phase of every project, every time. Our exclusive designs are specifically formulated to combat Houston's harsh summers and chilly winters and will keep your home or business comfortable and problem-free for years to come. If you have any questions or wish to schedule a free in home equipment replacement estimate call us at (281) 677-2526 or use the contact form below and we'll give you a call back in no time.